Back in 2007, our first camera that allowed fine-tuning or calibration of AF on a per lens basis was the Canon 1Ds Mk3. 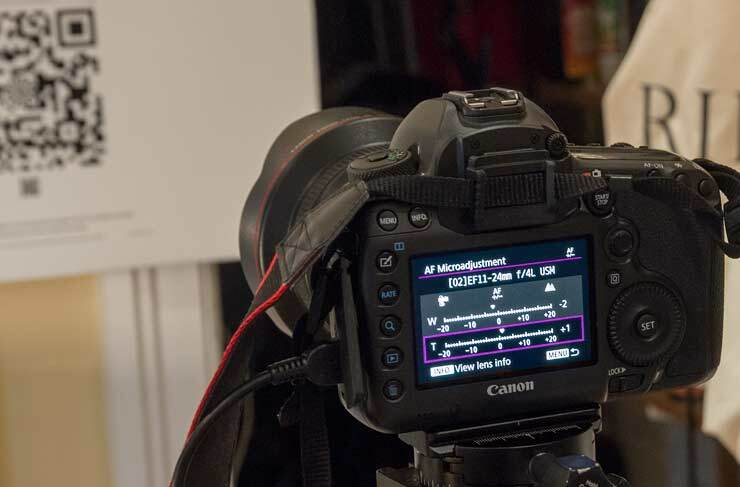 Keith wrote up an extensive guide to autofocus microadjustment and has regularly performed the process with new lenses. One of Keith’s conclusions at the time was that custom focus test targets were at best an expensive solution, compared with simply using a test print, or even graph paper. One problem was that you still had to take lots of photos and mess around deciding what was optimal focus and what adjustment best matched your lens. What if the process could be automated? Keith has had a chance to test some software that promises to do just this, and remove a lot of the guess work from the process. Most people are so used to camera autofocus, they just accept it as something that should work. Some realise that modern autofocus performance can be tuned with better cameras, for different types of photography, so that what works for athletics might not be best for birds or even different sports. What many people miss is that the actual AF setup, even for for a simple static shot, has a range of errors and inaccuracies that are simply there for practical engineering and manufacturing reasons. There are complex reasons why AF performance is always a compromise and may vary (slightly) from shot to shot. In the past I’ve calibrated the AF setup for individual lenses on my Canon 1Ds mk3 and more recently my 5Ds to try and remove these residual slight errors. The process is not difficult, but one you might quickly tire of if you’ve a lot of lenses. I’ll not go into all the ways your AF can be slightly off (a bang to the camera might misalign something ever so slightly) but the documentation for FoCal has some very well written notes on what is being addressed during any AF adjustment process, along with its limitations. There are two possible adjustments for my cameras – a global one that’s applied to every lens, and individual bespoke ones to allow for lens to lens variation. One technique for setting optimal AF involves photographing a fine detail, high contrast target at a range of AF adjustment settings and deciding which is best. As I found out when testing the SpyderLensCal the differences are not always that clear and deciding on what settings are best can become a bit of a guessing game. 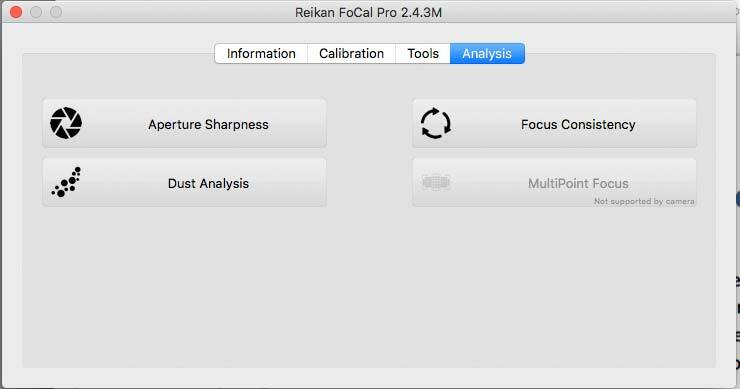 I recently had a chance to try out Reikan FoCal Pro software on my MacBook Pro – there is a windows version of the software which is pretty much the same as you’ll see here. 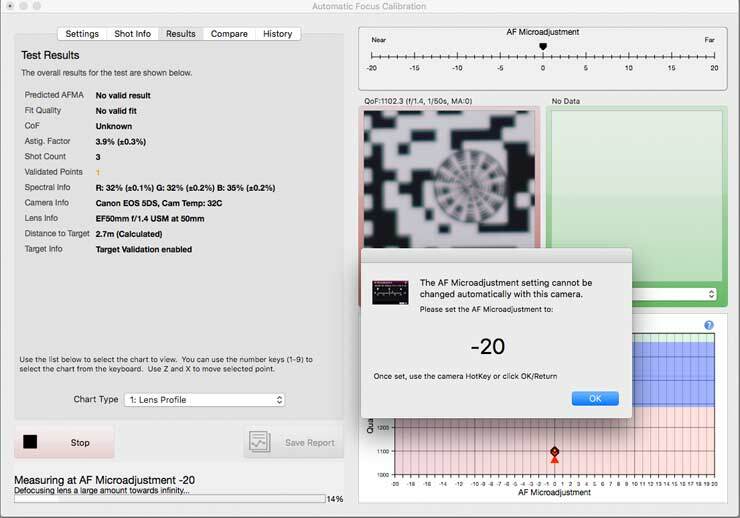 The software offers many different functions, but I’ll concentrate on the the key reason for getting it, automation of the AF Calibration process. 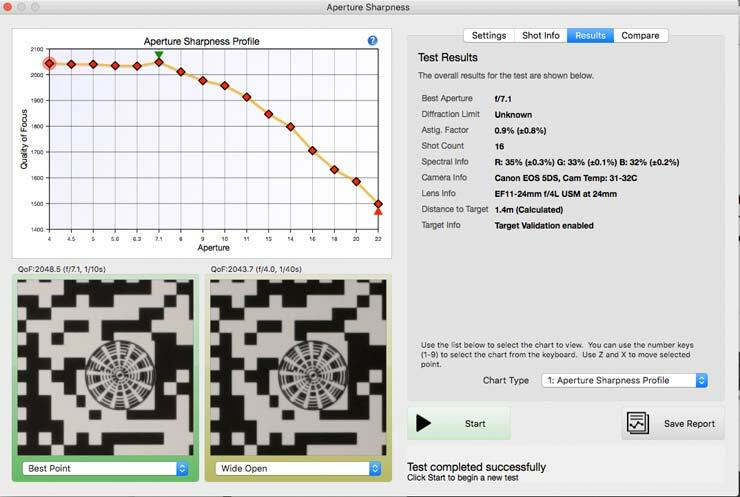 At its simplest, the software tells your camera (connected to the computer) to take a whole load of photos of a known test target, at different AF settings. I should note that it can also work in ‘file mode’ where you just supply the photos for it to work on. The photos are analysed and the best setting worked out. 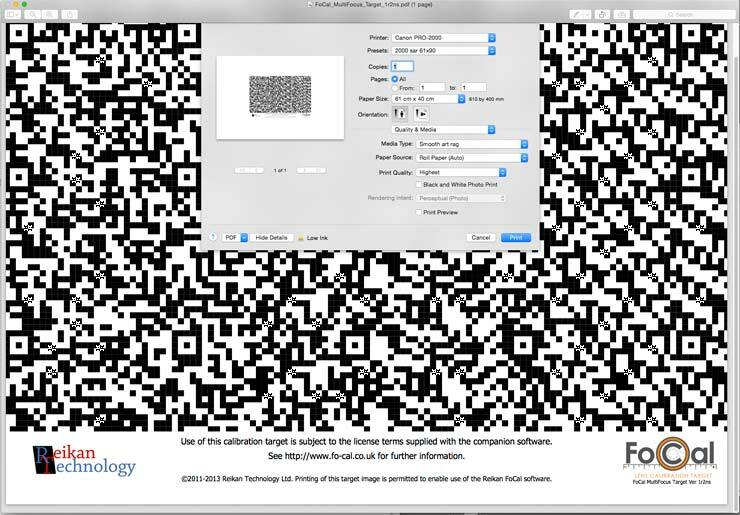 The target is a special one created for the process, with patterns that make it a lot easier for the software to calculate image sharpness. I printed out the file that came with the software, although Reikan do sell specially produced targets that are a bit more robust than my sheet of paper stuck to a sheet of cardboard. The software is available in two versions directly from the developer. I’m testing the full ‘Pro’ version, but the basic version has the important AF adjustment aspect in it. Note: Software available in other currencies. 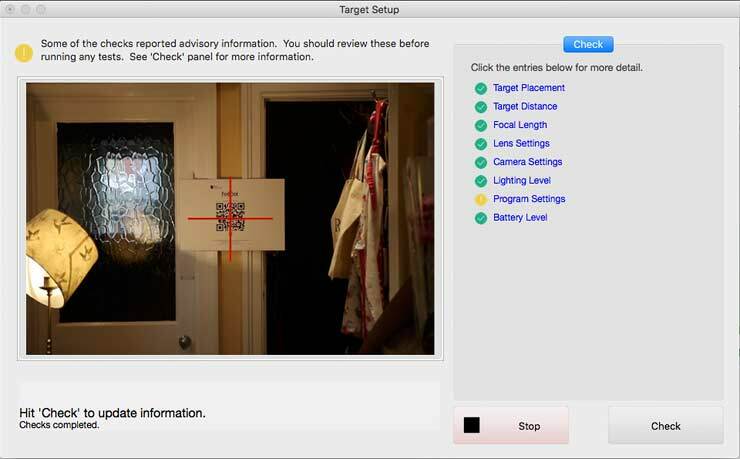 The software is simple to install, but will need its license activating and also to work with your particular camera body (5 cameras can be registered at any one time and this list of 5 cameras can be changed multiple times). Note that if you want to include such calibrations as part of a commercial service you will need to contact Reikan directly about an appropriate commercial license. 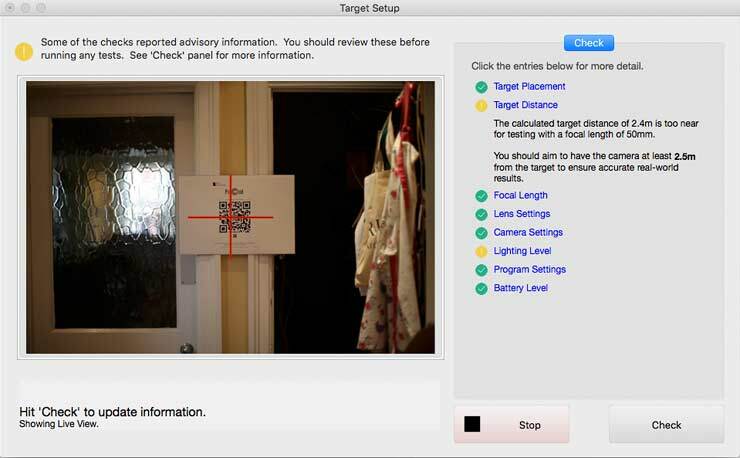 It’s important to have the target far enough away from the camera, and there is a list of minimum suggested distances. 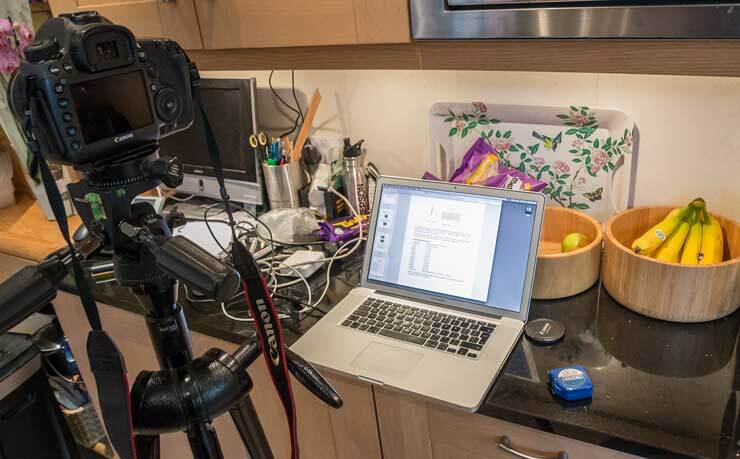 I’m doing the test in my kitchen, with a good solid tripod and a stone floor. You do need a solid camera support – I’d not do this in my office where there is a slight spring in the floor boards (something I noticed in the early hours one morning when we had one of the UK’s minor and infrequent earthquakes). I’ve printed the target and stuck it to a sheet of cardboard, which is attached to the door frame. By putting the camera right in front of the target and looking at the lines of tiles on the floor, I know that it’s at exactly the right height and square on to the target. The first lens I’m testing is my old EF50mm f/1.4 USM – but quite a bit further back. Before starting testing, I check some of the software preferences and settings. There are quite a few of these, but with most, assume that unless you know why you want to alter them, they are at sensible settings to start with. I changed the target width to my measured value of 128mm (what it came out of the printer at). Please do take time to read the quickstart guide – it is well written and genuinely helpful. 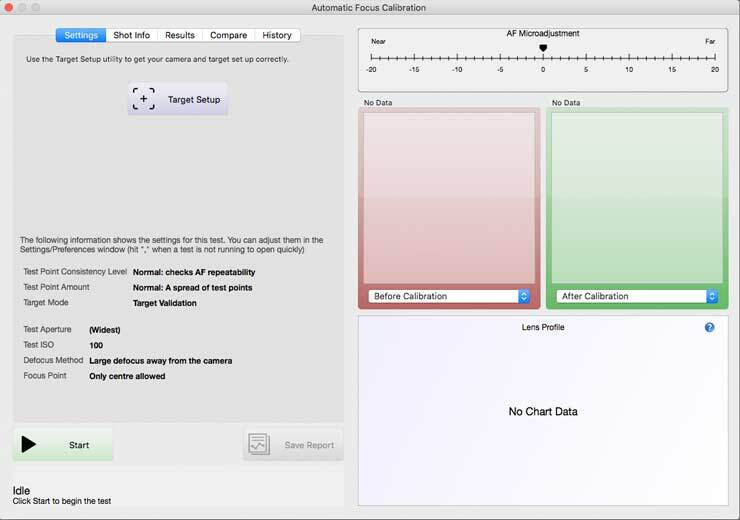 Before starting the test process, it’s good to run the target setup check – especially if you are new to the software. From this I learned that the software didn’t like my camera being set to Manual mode (what I use for 90% of my photography). Or, my MLU (mirror lock up) settings, so I turned them off (so the computer could set them). Note the cover over the viewfinder – this also reminded me how nice the built in one was in my old 1Ds and 1Ds mk3. I’ve the camera connected up via a USB lead to my laptop. The software noted that I was not quite far enough away. Once everything was ready I set the software going, expecting to come back in a few minutes with my cup of tea and see how it had done. The software takes photos and analyses them (R,G and B channels) and works out the optimal setting. 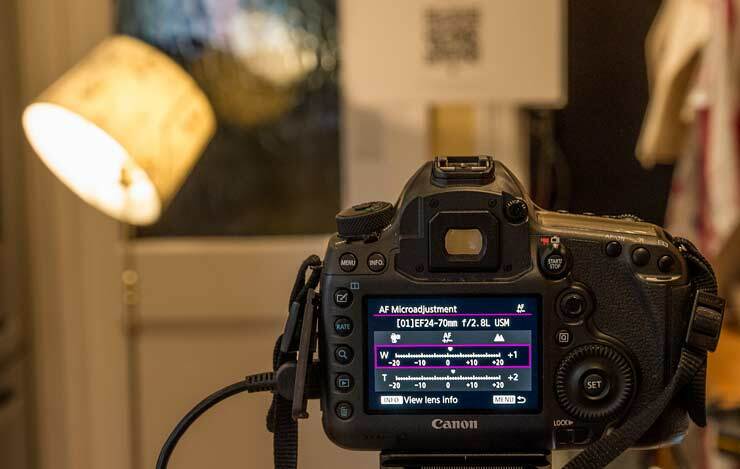 Not so fast… not all cameras allow for setting AF adjustment values from the controlling software. Blame Canon for this oversight, not Reikan. So I get to change the AF adjustment manually, not exactly hard work. That’s fairly high, but this is an old lens (and a 1992 design) with USM AF control. 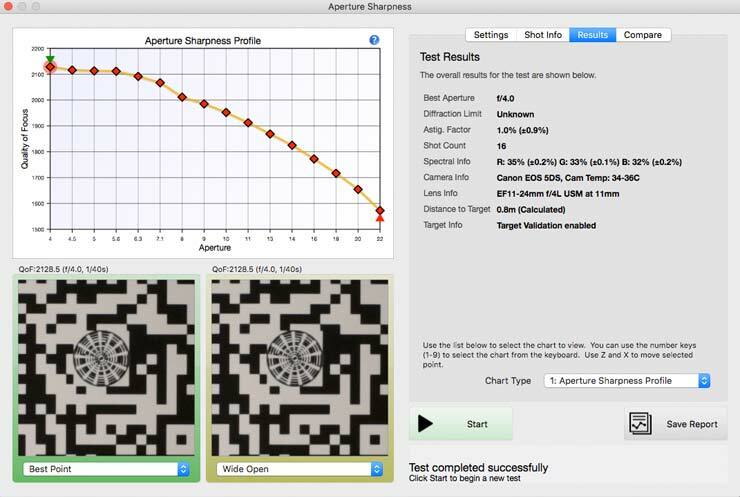 The software is smart enough to spot bad measurements and inconsistencies and prompt you to re-do a shot. If this happens often and your setup was OK, then it could be an indication of a lens (or camera) fault. OK, lets see what it thinks of my EF24-70 f2.8L and even more expensive EF11-24 f4L. 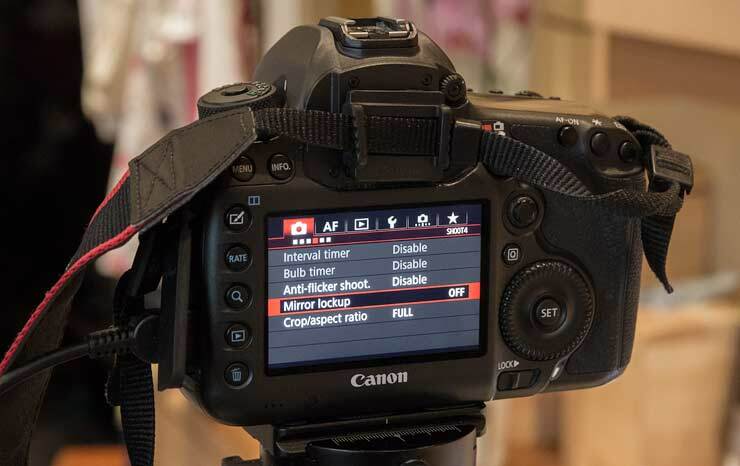 Here the 5Ds has the option of setting an adjustment for the extremes of focal length for zooms. Suffice to say, these two needed only tiny adjustments. At 11mm I’m quite close to the target. The 24-70 moves back a fair bit. So, that’s it … my AF is now improved. OK, it’s only the 50mm where the difference matches some issues which had led me to check the lens some time ago – the other two had been fine at ‘zero’ settings. 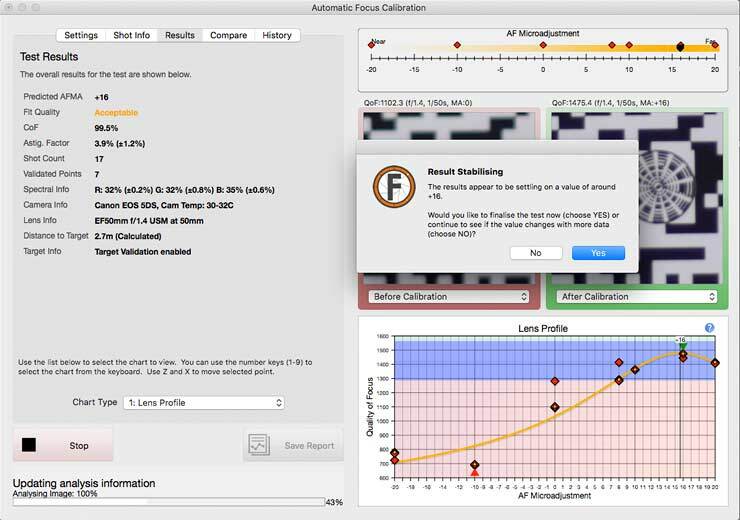 The Pro version of the software has a number of features that allow you to explore more aspects of how your AF system performs with different lenses. 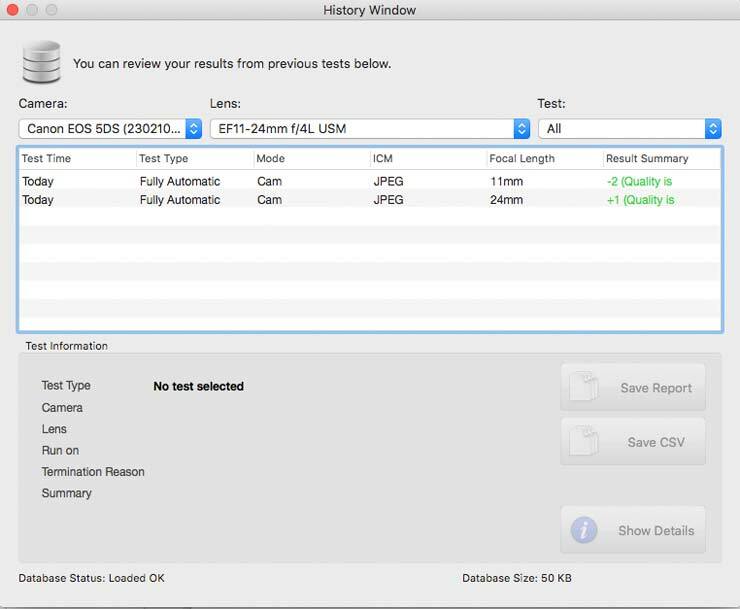 It also offers more detailed logging and comparison of test results. Some features, such as checking individual focus points were not available for my 5Ds (Canon’s limitation, not FoCal), and the 5Ds dust removal seems much improved over my old 1Ds mk3, so I didn’t check that. The multipoint focus uses a different target – seen here when I printed it (before I’d checked if it would be useful). 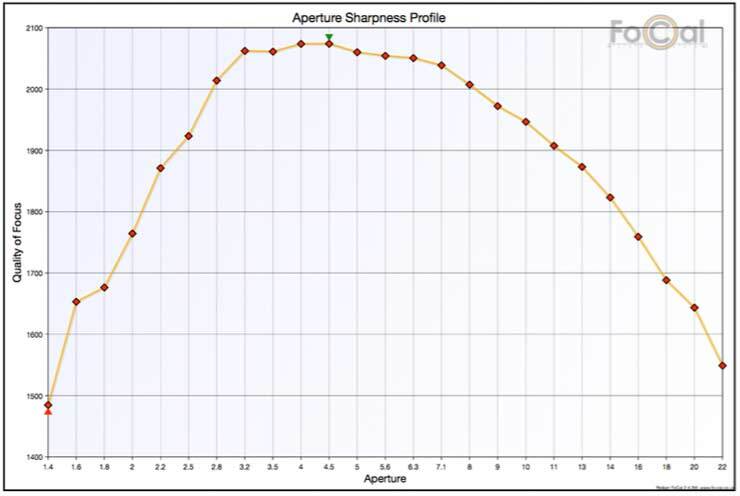 One interesting set of results shows how sharpness varies with aperture for a given lens (note the many options). Look at this curve for the EF50/1.4 (from the lens report PDF file) and notice how detail plummets at wider apertures, and starts to drop again above f/7.1 as diffraction sets in (I’m testing with a full frame 50MP sensor). I can store all the various lens data to review later (no doubt when looking for excuses to buy a new lens). 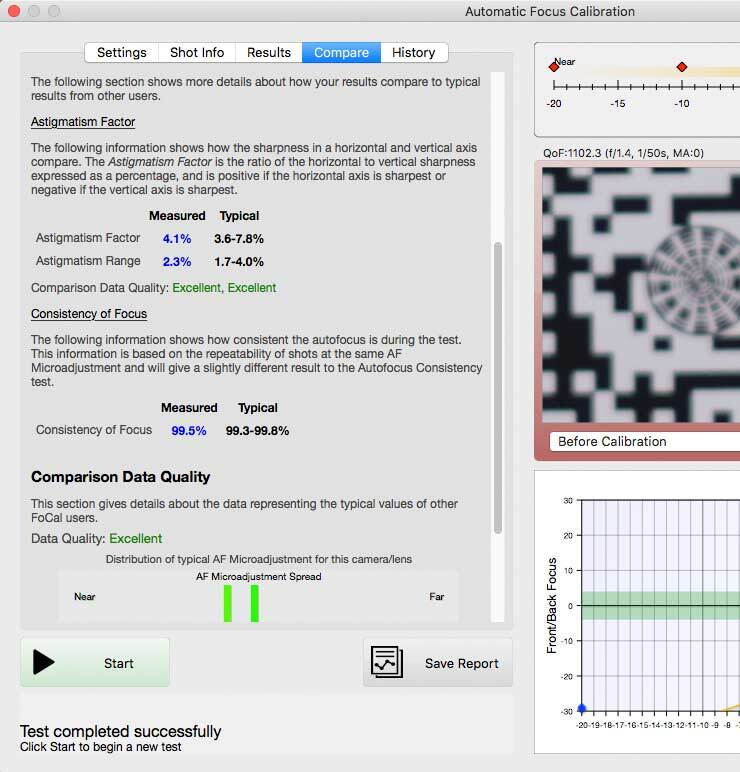 I can even compare data with other samples of the lens used by other people (this data sharing is optional). Some caveats are necessary before reading too much into all these numbers (as I’m afraid all too many people are inclined to do). This is just looking at the central area of the lens, so gives no idea as to all the many other factors that make a ‘good’ lens. There is a corner brightness profile produced as part of the Aperture sharpness tests, but it should ideally be carried out with RAW file testing (an option) and rather more care to illumination of the frame than I did. Not including the glass door showing right through to the street would help. You should also note that testing is not standardised between different focal lengths (unless you get the tape measure out) so whilst it’s good for helping to spot the better lens of a pair of identical ones, it’s not designed to be a comprehensive lens performance analyser. I’ve been pretty dismissive of some of the fancy camera AF testing contraptions in the past (a ‘tax on people addicted to illusory perfection’ IIRC ;-) ) and if you are tight for cash, there is still good old graph paper or the screen interference pattern methods I mentioned in my guide to AF microadjustment. However, FoCal is the first technique I’d spend my own money getting a copy of. I have getting on for £10,000 worth of AF lenses that I use for my work – if I can’t spare £40 (standard version) for something that automates (to varying degrees) a fairly tedious, but useful process for my lenses, then I’ve not looked at things correctly. Having the process easy to set up like this makes it more likely that I’ll do it regularly (even if that’s only every few months) and spot any issues/damage before they affect my work. My eyesight is not as sharp as it was and with the abysmal focus screens in modern DSLRs for manual focus (I miss the interchangeable screens from my 1Ds and 1Ds mk3) I do need to rely on AF a bit more than I have in the past. My close up vision also makes critical focus checking on the back of a camera a more involved process – changing to different glasses is a minor annoyance in my slower tripod based architectural work, where I tend to use manual focus lenses. 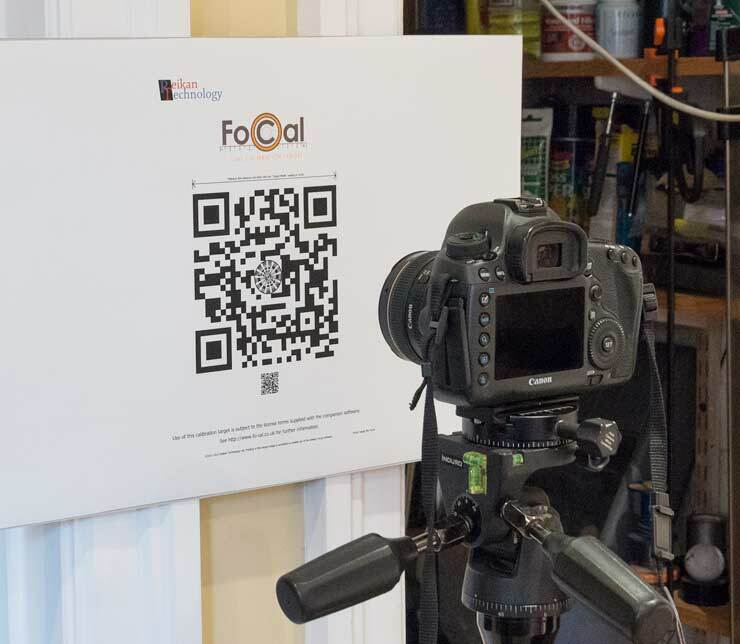 If you get to try FoCal, please do take time to read the documentation – there is a lot of very useful background info about what you are doing, showing its benefits and some limitations. 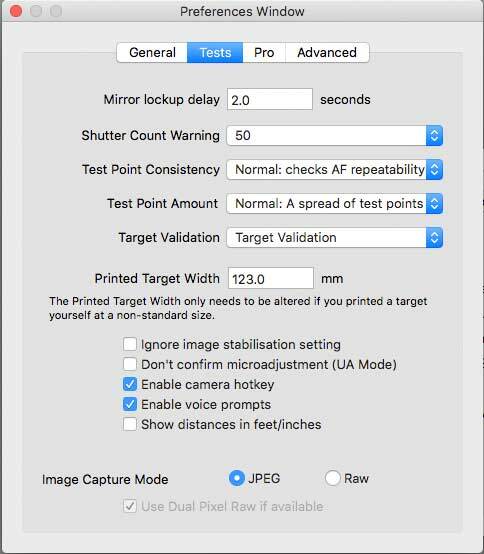 If you don’t have a printer, then you can get the software with actual test targets. FoCal can run with a less powerful CPU however some operations may run slowly. 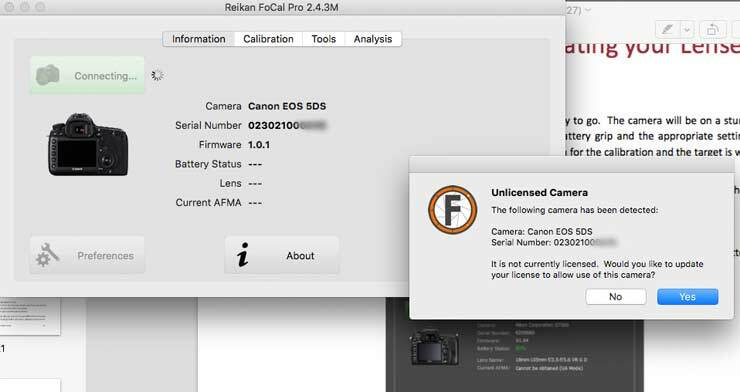 One of the reasons my testing was delayed were some residual issues with OS X 10.12 and Canon’s software for camera communication – check the FoCal web site if for the latest info.